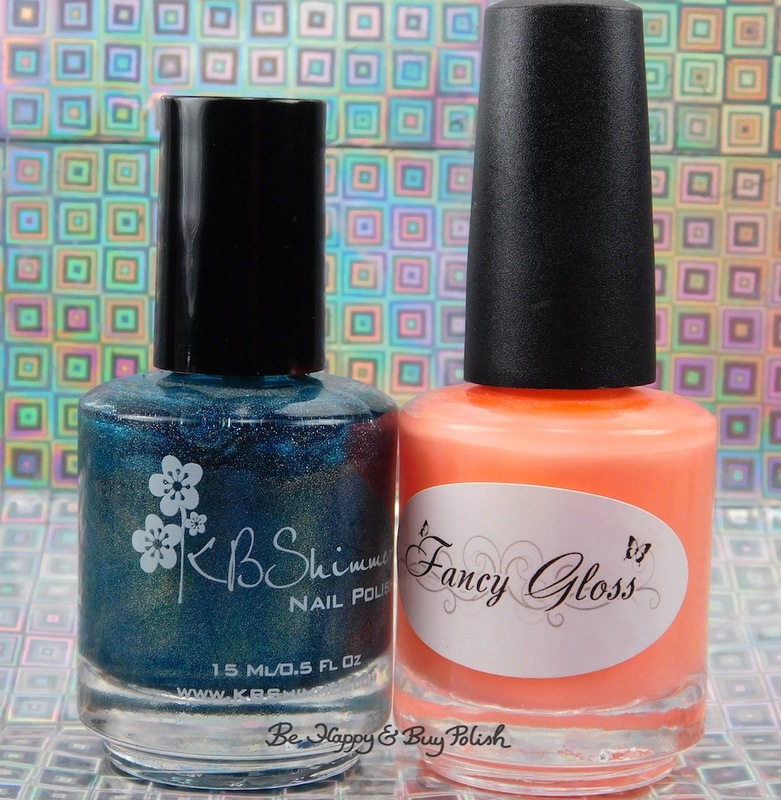 Posted in Indie Polish, Nail Art, Pedicures, pictures, reviews	by Jessica W.
Hi everyone! 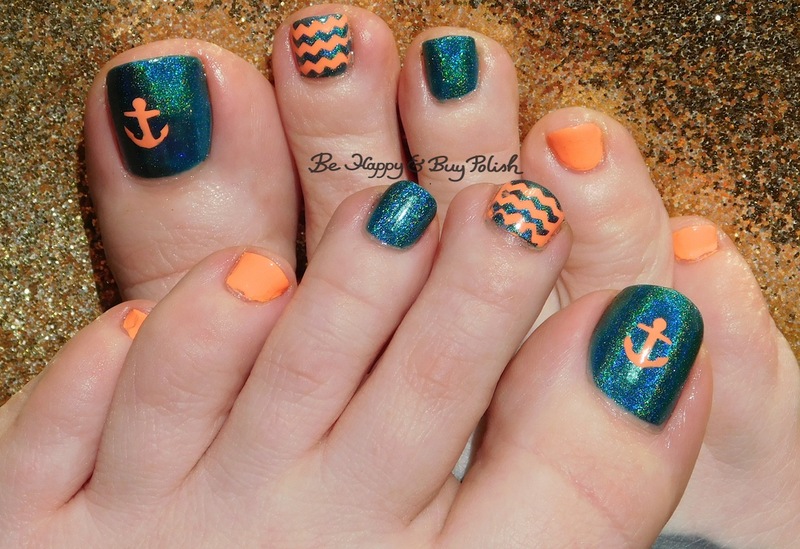 Just a quick Saturday post to show off my nautical pedicure with KBShimmer Up and Cunning and Fancy Gloss Coral Dreams. Don’t click through after the picture if you don’t want to see my toesies! I’ve used Up and Cunning on my big and middle toes, with Coral Dreams on the others. I also used wave decals on my second toes and painted Up and Cunning over. Lastly, I found I had some anchor decals from Polished Vino, so I added an anchor. I didn’t quite get it centered, but darn it, that’s hard! It looked centered from one angle, but not another. Oh well!